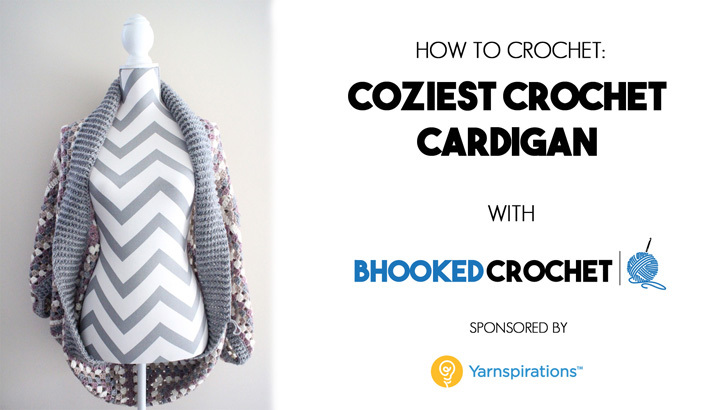 Learn How To Crochet the Coziest Crochet Cardigan With Me! I’m continuing the garment crochet trend this month with the Patons Coziest Crochet Cardigan, a brand new pattern by Yarnspirations that launched with their Snowed In Look Book. 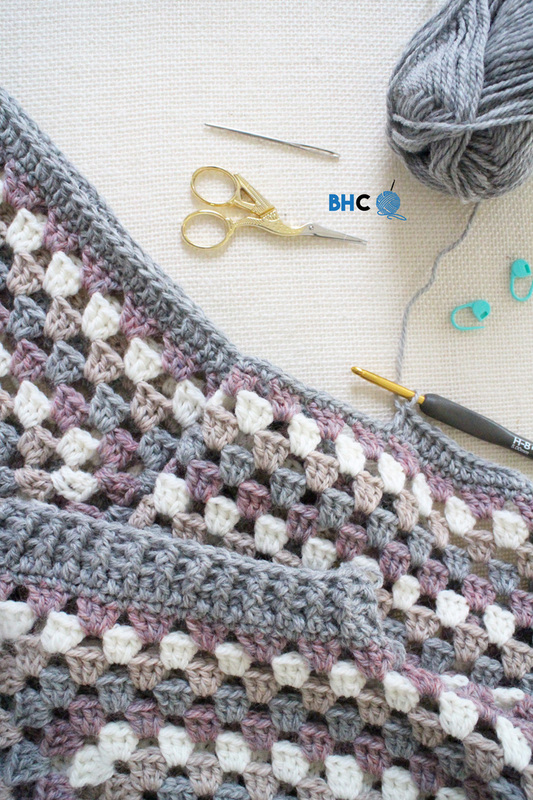 This pattern takes a different approach to garments – four over sized granny squares come together to create, well, the coziest crochet cardigan you will ever wear. I was attracted to this pattern for that reason, that it offers a different approach. I knew it would be a great learning experience for you and me. 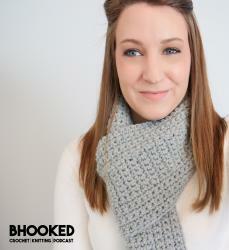 I was also very excited about this pattern because of the yarn choice, Patons Classic Wool Worsted. I had fondled it a few times in the yarn store but never worked a project with it. Let me just say, I have a reserve of classic wool now on my yarn shelves. It was easy to crochet with – no splitting or pilling. Best of all, it was total eye candy while I worked with it. The colors that are available are very raw and organic. I love it. If you’ve been on the fence about crocheting clothing but have reservations because of your skill level, the coziest crochet cardigan is perfect for you. Typically, we struggle with shaping when it comes to clothing. The increases, decreases and odd shapes can give anyone a headache. This pattern, however, has none of that. 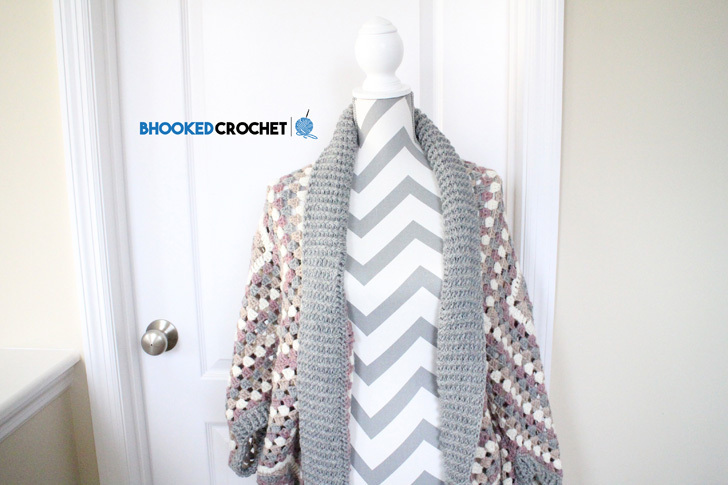 If you have crocheted a granny square before, I have no doubt that you can make this cardigan. Over sized garments are certainly the trend nowadays and this cardi is no exception. It’s this quality that will guarantee your success. This pattern consists of four large granny squares that are sewn together, folded in half and sewn up the sides to the arm holes. Very little shaping and construction is what makes this pattern so easy! After you’ve created the main cardigan with the squares, ribbing is added to the sleeves and around the entire cardigan. The pattern is listed as an intermediate level pattern, however, with my video anyone can create it! Once you have downloaded the free pattern and ordered your supplies, follow along with my video tutorial to walk you through the entire pattern. This isn’t just a run through, folks. This video tutorial is over an hour long and took more than 5 hours to create. It covers EVERYTHING. You can access the video tutorial above in right hand and left handed versions. I can’t wait for you to give this pattern a try. I’ve hand picked it from Yarnspirations enormous database of free patterns because I really thought you would learn a great deal from it and most importantly, feel a strong sense of accomplishment when you’ve finished it. I’m here for you. If you have any questions at all, please don’t hesitate to leave a comment below. I budget in time every single afternoon to answer every question or comment that comes through.